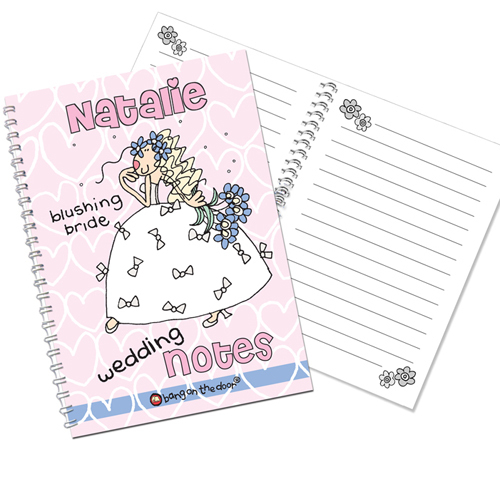 This Bang on the Door 'Beautiful Bride' themed notebook is the ideal gift for any bride. Personalise with any name on the front up to 12 characters. The wording 'blushing bride' 'wedding' and 'notes' will be fixed text on this item. Personalise with any name on the front up to 12 characters.